Priority One Heating & Air Conditioning helps customers improve their indoor air quality by inspecting, repairing, replacing and cleaning their furnaces Eugene systems. We are qualified to work on all brands of furnaces and most of the time we have the part to fix your repair on our trucks. When your furnace Eugene system breaks down, you can call us any time of the day or night, and we will dispatch an expert technician right away to take care of the problem. We do not charge extra for work on nights, weekends or holidays. Instead of charging an hourly fee, we offer free estimates and quote flat fees, so you know exactly how much a repair will cost before you commit. 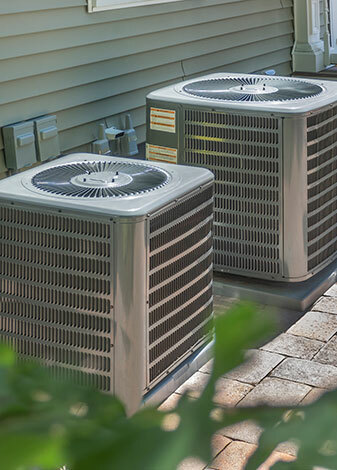 In addition to full repair, service and cleaning options, we also offer the area’s biggest selection of new heating and cooling equipment. When there are problems with a furnace it can be a really cold place during the winter and early spring. We help clients out by offering up to 100% financing for new systems and quality affordable maintenance plans. Good quality service and installation depends entirely on the quality of our technicians. We turn down 97% of the people who apply for the position and only accept the best. Then we give them extensive training in customer service and technical fields. The efficiency of a heating and cooling system is only as good as the installation. Our technicians know how to choose the proper size system for your house so that you will be sure your heating and cooling needs are covered in the most efficient way, guaranteed. This not only saves you money, it helps to save the environment too. We do everything we can to help people who are interested in installing new air conditioning systems and furnace Eugene. We believe the earnest desire to help is the best investment we can make in our company.